For more than 20 years, Prestige Carting has been offering outstanding dumpster rental services on Long Island. Offering high-quality containers in a variety of sizes and at truly affordable rates, Prestige Carting will help to make any cleanup project go a whole lot smoother. And the best part is, when you’re done, all you have to do is give them a call and they’ll haul it away for you! No questions asked! You really can’t beat the dumpster rental services at Prestige Carting! When you think about dumpster rental, you probably think that it’s something only contractors need; but nothing could be further from the truth. Renting a dumpster can be beneficial for homeowners, too! From landscaping to remodeling, there are tons of projects around the house that involve a lot of debris. Where will you put it all? Yes, you can bag it up, haul it out to the curb, and wait for your waste management company to come pick it up. But who wants to deal with the hassle of bagging up tons of junk and lugging heavy and awkward bags? Plus, all of that trash isn’t going to look pretty while it’s waiting to be picked up! What’s the better option for getting rid of large amounts of debris? – Why, renting a dumpster, of course! Of course, if you’re just doing routine cleaning, a dumpster is probably a bit excessive. If you’re planning on remodeling your bathroom, completely cutting your kitchen, or adding on a whole new room, renting a dumpster is a wise idea. A lot of bulky and heavy waste is produced with these types of projects; carpeting, appliances, countertops, cabinets, sheetrock… With a dumpster on-hand, you won’t have to worry about where you’re going to toss all of that debris. Just toss it into the container and have the company you rented it from haul it away! If you’ve been using the basement, attic, or any other room in your house as a storage facility and you need the space for other things, rent a dumpster before you clear it out. You can use it to toss out big boxes, old furniture, and anything else that you simply don’t want or need. Your cleanup project will go a lot faster when you have a dumpster available. While a basic cleanup of leaves might not necessitate a dumpster, you could definitely benefit from having one for those big landscaping projects. For instance, if you’re going to be pulling up your lawn, removing trees and shrubs, or tearing down a deck, you’ll be glad you have a dumpster to put all of those big items in. It will save you the time and hassle of having to make multiple trips to and from a landfill to get rid of the debris. Thinking about installing new windows? Want to replace your outdated siding? Need to replace your roof? 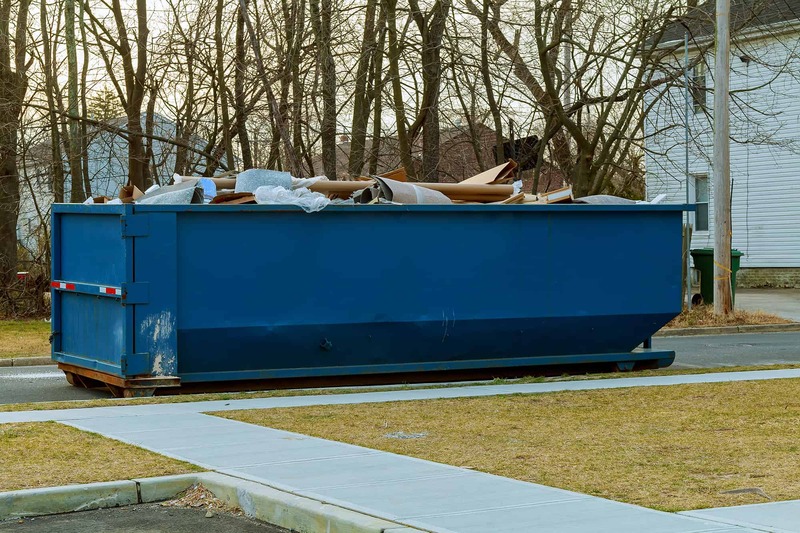 If you’re making upgrades to the exterior of your home and you are going to tackle the job on your own, make sure you rent a dumpster before you get started. These types of projects involve a lot of big debris. You won’t have to keep running up and down ladders to haul it to the curb; instead, you can just toss it right into a dumpster that has been thoughtfully positioned in your yard. Moving is the perfect time to go through all of your stuff and decide what you want to take with you and what you want to toss. You’re bound to have a lot of stuff in that “toss” pile. What are you going to do with it all? Sure, you could have a yard sale and hope that others will buy it; but, more often than not, yard sales are a waste of valuable time. When you’re moving, you already have a lot on your plate, so why add to the stress? Rent a dumpster and toss out all of that junk you don’t want to take with you to your new digs. Renting a dumpster can make big projects around the house a lot easier to handle. If you’re in need of dumpster rental services on Long Island, contact the pros at Prestige Carting! They offer containers in a variety of sizes and accept all types of debris – from construction materials to appliances, and just plain old ordinary junk! For efficient and reliable dumpster rentals, look no further than Prestige Carting!